How to I change my Firm Calendar to show all events? 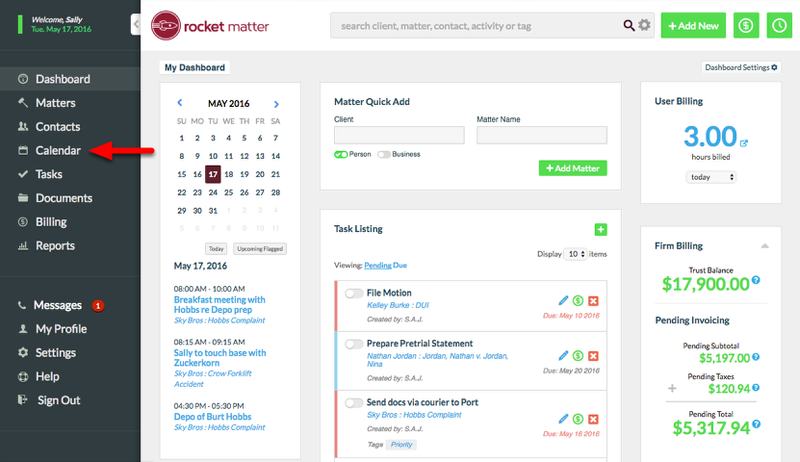 Rocket Matter Knowledge Base CalendarHow do I change my firm calendar to show all events. 1. 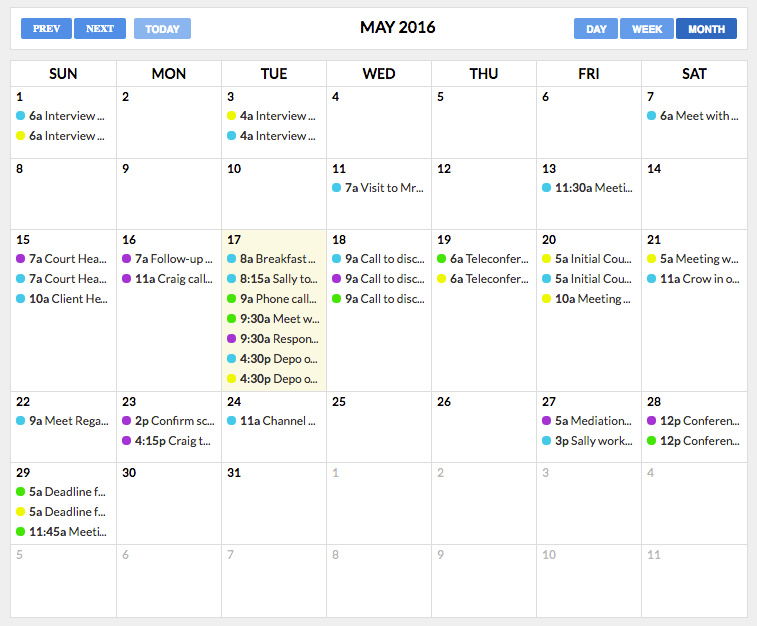 Navigate to your Firm Calendar. 2. Click on "Calendar Settings". 3. Choose "Show all events", and close dialog box by clicking "x". 4. To see all your events, click on "Month" view. 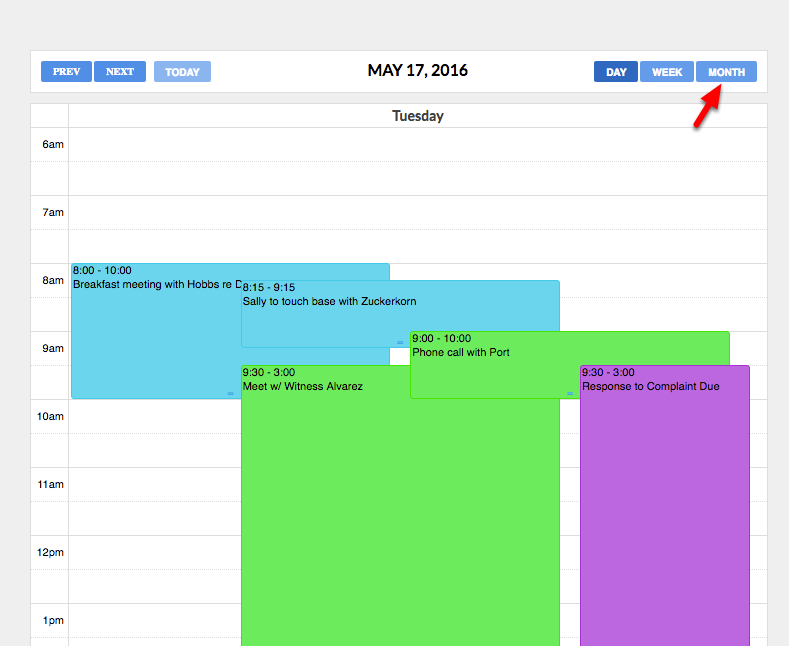 Note: Switch back to "Fit events to view" by changing Calendar Settings again. 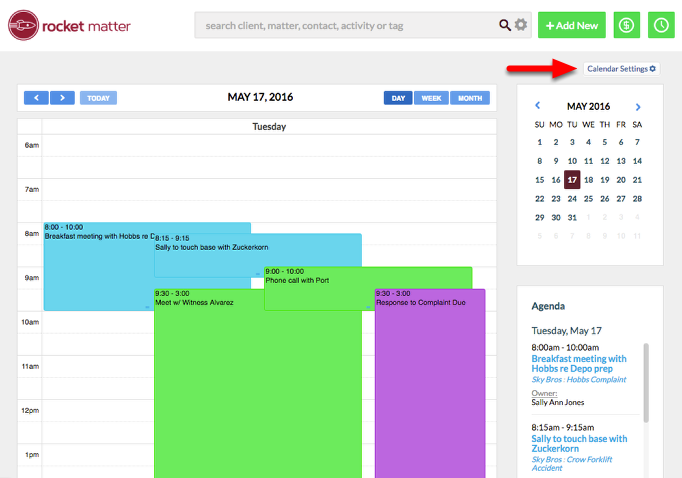 Prev: How to add a client or contact as an attendee to a calendar event. Next: How to print your firm calendar.